Biography of Bishop Christopher J. Barney Sr.
A native of Meridian Mississippi, Pastor Christopher J. Barney Sr. moved to Jackson, Mississippi in the fall of 1990. He matriculated from the accredited School of Business at Jackson State University and holds a B.B.A in Business Administration. He also attended The West Jackson Bible Institute of Jackson, MS and he plans to continue his pursuit of educational excellence by pursuing a Master’s Degree in the areas of Business Finance and Divinity. 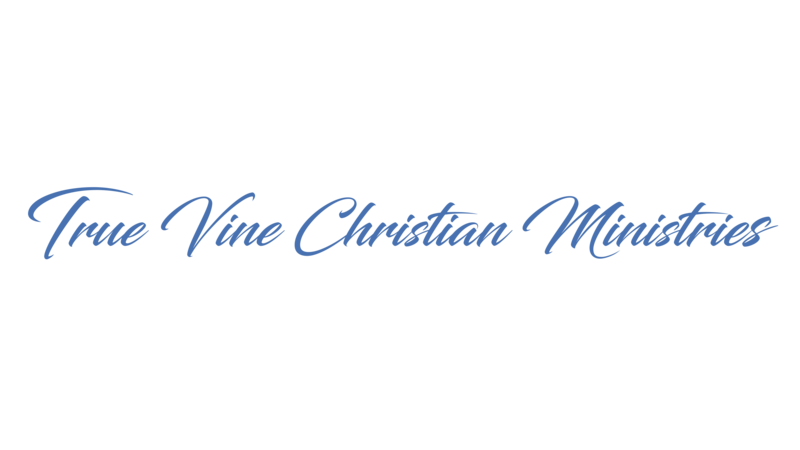 He currently serves as Executive Director of The Vineyard, True Vine Christian Ministries School of Leadership & Ministerial Training. He is also a formally affirmed and recognized Pastor and member of the Potters House International Pastoral Alliance under the galvanizing leadership of Bishop T.D. Jakes. Bishop Barney offers fire and zeal to the Glory of God in all that he does. As some would say, He pours Passion from the Pulpit. He loves God with all his heart and he loves God's people with the same fervency. He is fully persuaded that God should be served in a Spirit of Excellence, thus it is always his aim to pull the very best out of God's people. He desires to see God's people reconciled back to HIM in True Worship! He is the husband of one wife, PASTOR DAPHNE BARNEY. They have been married for 20 years and have two sons, Christopher II and Braxton. Daphne Stamps Barney with humility and grace, serves as the First Lady and Executive Pastor of True Vine Christian Ministries, where she assist her husband, Bishop Christopher J. Barney Sr., in the task of “Maturing God’s People for the Accomplishment of God’s Work”. She currently serves in the Office of Executive Pastor and she is also the Director of the Youth Ministry , the ministry which houses the King’s Kids nursery and children ministries and the Water Walkers Teen Ministry of TVCM. She is a certified Crown Ministries Instructor, and teaches financial stewardship and living a debt-free life, drawing heavily from her education background in Accounting and Implementation Management. She has found that her destiny in life is ministering to youth and hurting men and women of all walks of life. She is a native of Jackson MS, by way of Meridian MS. She is known and appreciated by many for her vibrant and joyful enthusiasm and sincere desire to see God’s people restored from loss. Pastor Daphne challenges and encourages believers to develop and mature in their walk with the Lord as she seeks to do as well. Deliverances are wrought as she ministers the Word in boldness, power, and grace. As she speaks believers are edified, built up, and equipped to do the work of the ministry. She is an avid intercessor and believes that prayer is the bloodline to the life of every believer. She loves the Lord with her whole heart and is sensitive to His voice and direction for her life and the lives of others. Her Christian character has been tried and proven to be an asset to the Body of Christ. She enriches lives and provides a true example of a servant and virtuous believer. Pastor Barney seeks to promote excellence in ministry, the community and in the home; her faith will impact your life tremendously. She and her husband have two sons: Christopher James II and Braxton.